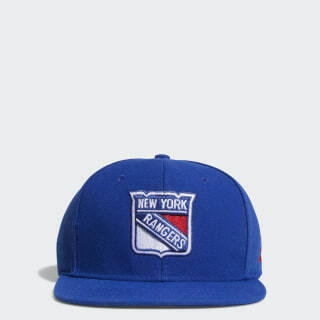 An adjustable cap for fans of the New York Rangers. With the backdrop of the Big Apple, the Rangers play on a world stage. Support the New York City team in this men's hockey cap. It features the team crest logo embroidered on the front and adjusts at the back for a precise fit.